This is the second part of a two-part blog post on art in the early days of the Bronx Zoo. See here for part 1. Some artists also devised ways to avoid the crowds of visitors. The artist Paul Bransom, for instance, recalled retreating to Zoo buildings that “were noted not only for their beautiful inhabitants but for their unique odors.” Not only would most visitors rush through such buildings, but Bransom also would be given plenty of space on his subway ride home! 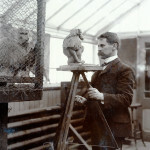 Further still, in addition to encouraging artists working at the Zoo, NYZS also sought to support wildlife art by hiring sculptors to decorate the Zoo’s original buildings, and visitors today can see the work of Eli Harvey, Charles R. Knight, and A. P. Proctor adorning such landmark-status buildings as the Monkey House, the Lion House, the Bird House (now an administration building), and the Elephant House (now Zoo Center). 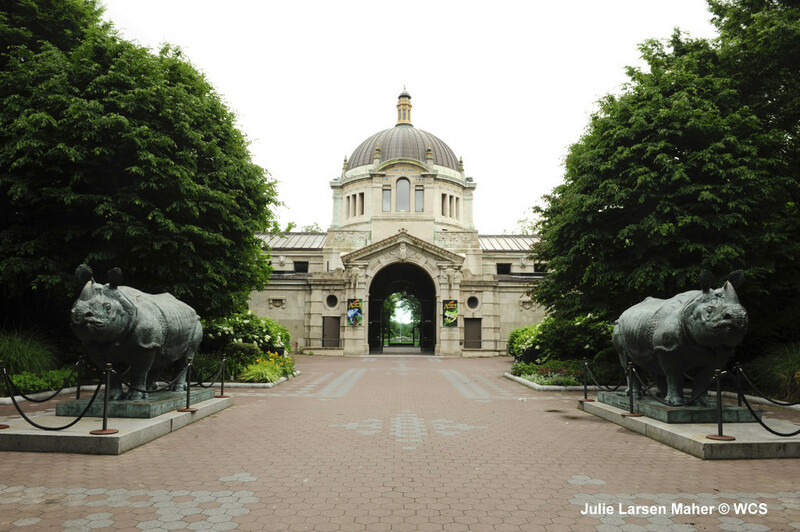 Over time, the Zoo’s outdoor sculpture collection expanded to include Anna Hyatt Huntington’s Reaching Jaguars (see our earlier Wild Things post on Huntington) and casts of Katharine Lane Weems’s Indian rhinoceroses, Bessie and Victoria. 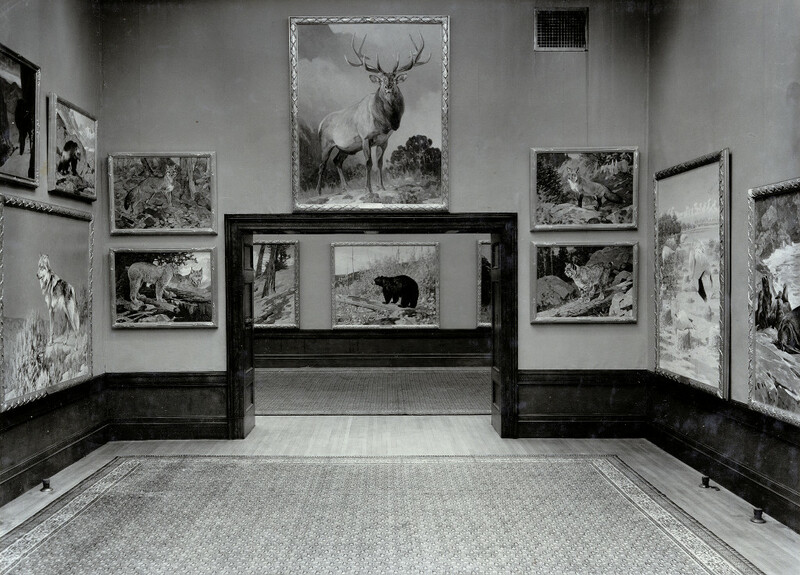 The Society also collected wildlife paintings and displayed this collection and visiting works in the Zoo’s administration building and later in its Heads and Horns Gallery. 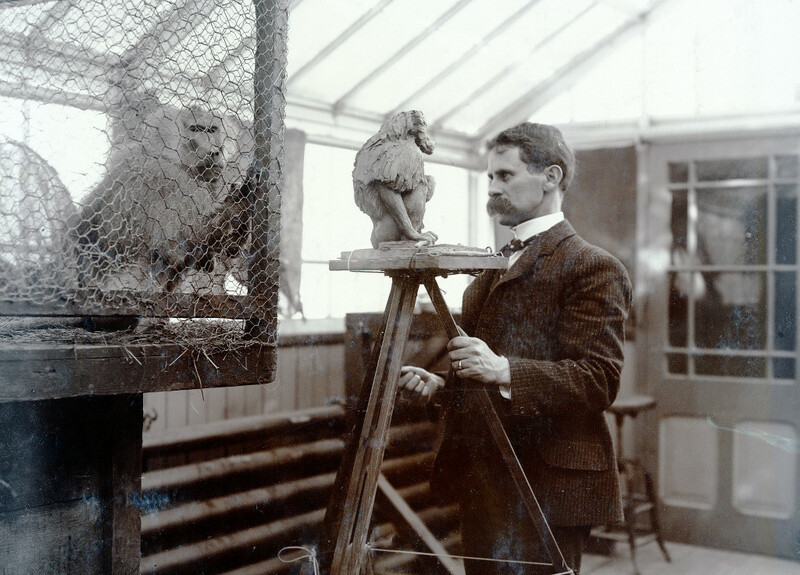 Within the Society’s collection were works by Rosa Bonheur, Louis Agassiz Fuertes, Robert Bruce Horsfall, Knight, Carl Rungius, and other important wildlife artists. First. 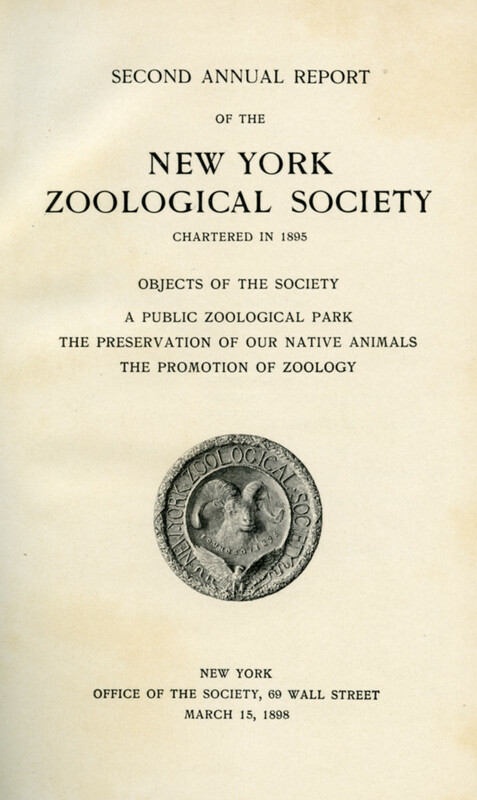 — The establishment of a free zoological park containing collections of North American and exotic animals, for the benefit and enjoyment of the general public, the zoologist, the sportsman and every lover of nature. Second. — The systematic encouragement of interest in animal life, or zoology, amongst all classes of the people, and the promotion of zoological science in general. Third.— Co-operation with other organizations in the preservation of the native animals of North America, and encouragement of the growing sentiment against their wanton destruction. Thankfully, the situation for some creatures has become less dire since the Society first turned to art as a means of preservation. This in part has come through organized conservation efforts, such as the Society’s involvement in repopulating the American bison in the West during the early twentieth century. Today, the Wildlife Conservation Society continues to strive to protect wildlife and wild places—to make sure, in other words, that the wildlife art created at the Zoo or collected by the Society does not become a memorial to lost species but rather serves as a celebration of living, thriving animals. A version of this post also appears on the website for the exhibition Goddess, Heroine, Beast: Anna Hyatt Huntington’s New York Sculpture, 1902-1936, shown at Columbia University’s Miriam and Ira D. Wallach Art Gallery in Spring 2014. Thanks so much for such a beautifully written and informative article!